Home » Blog » Free Printables » Bye bye summer (or not)…Hello Halloween! Bye bye summer (or not)…Hello Halloween! Summer’s over and it’s just about October here in Jersey, but it might as well still be summer. I was swimming in the pool two days ago (the water was 86°F!). The leaves are changing just a bit and Halloween is about one month away. Moving past the fact that I haven’t added anything to this blog in months, I’m offering up a Halloween freebie just for those who wait until the last minute to get their act together. 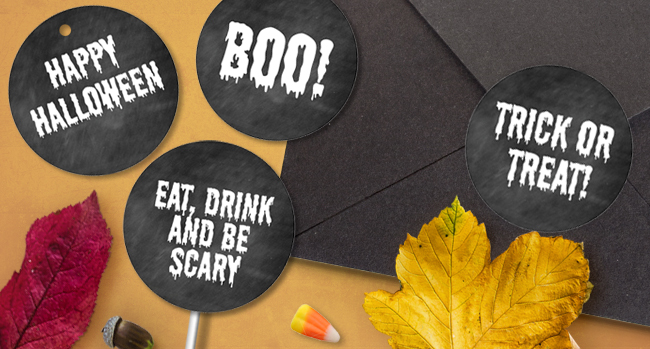 This a printable file with 12 black chalkboard look images with creepy-looking Halloween themed simple words and phrases. Use the images as stickers, gift tags, cupcake toppers, envelope seals…whatever works. They are just a little over 2 inches in diameter so you get a seamless look. Right click to save the image that pops up after clicking on the link. The page is a jpg so the text is not editable. They have been designed to print to my favorite Avery label template #22807 or similar 2 inch labels. 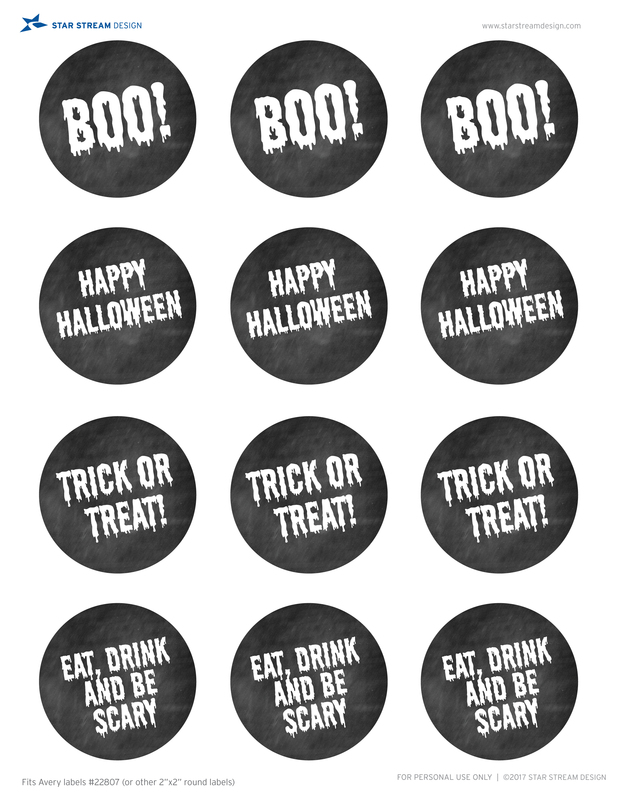 Print to a full sticker sheet, paper or cardstock of your choosing and use a 2″ round punch to pop them out, or trim them out with a scissor if you’re good at that type of thing. If you use them, let me know, send a photo or tag us on social media. I’d love to see how you use them. Anyway, I’ve thought a lot recently about changing up some of the work I do and concentrating more in a field that, particularly in the region I live, could be more advantageous in the long run. I know that’s rather obscure, but I don’t want to jump the gun with saying I’ll do something and it not coming to fruition for another year. I’ve always loved designing logos and corporate identity development, so it has to do with that in a broad sense but more specialized. I hoping to have it up and ready within the next six months if not sooner. So, I’m working on it.